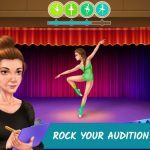 Hollywood U: Rising Stars is another mobile game creation from Pixelberry, its second game for iOS and Android and the follow-up to High School Story. Basically, your character is enrolled at the titular Hollywood U, and your goal isn’t exactly to become a straight-A student or the top athlete on campus – instead, your goal is to become Hollywood’s next big young star, overtaking the game’s antagonist, whose dad happens to be a studio owner. It’s going to be a hard road to the top, but a fun one, especially if you can progress quickly through the game and make the most out of your gaming experience. That said, here’s a list of Hollywood U: Rising Stars cheats and tricks you could use to your advantage. This cheat could be a bit dangerous to execute, but if you can pull it off, it will be worth your while, as it allows you to skip forward in time and allow yourself as much time as possible to complete the quests. Simply close Hollywood U, remove the app from your cache, go to your phone’s settings, and change the time forward to your liking. In principle, it’s an easy cheat to pull off, but Pixelberry does know that gamers do this, so who knows? It might not be long before the cheat gets “nerfed,” or removed from the game. Like every rising Hollywood star, you’ll need an entourage of your own, a posse of yes-men and yes-women, in other words. However, there may be times you’ll have to reassign these entourage members, or simply send them home. Tap the Dorm your members are located in, tap on their face(s), and feel free to defriend them for cash, or relocate them to another building. When talking about profit, the Director Dorm may be the structure you’ll want to purchase. This dorm holds up to three people and 360 cash, making it a better choice than the Fashionista Dorm (three people, 240 cash) and Movie Star Dorm (four people, 160 cash). And once you’ve got multiple dorms, you can rotate your entourage accordingly, putting your low-level flunkies in the Movie Star or Fashionista dorms, and the higher-level ones in the Director dorm for best results. 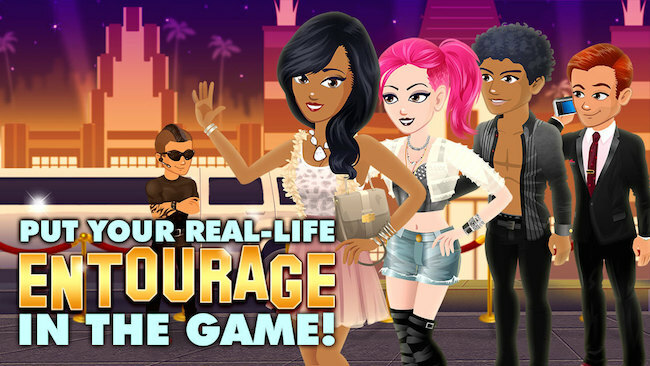 Easy-peasy – all you have to do is connect Hollywood U to Facebook and connect your characters to your friends. This will give you a free flow of diamonds, especially if you sell these in-game friends and re-link them to your Facebook contacts. 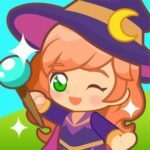 Many mobile games reward those players who aren’t shy talking on social media about their guilty little gaming pleasures, so don’t be shy – this is one thing you’ll need to do if you want more of those diamonds. It may seem instinctive to work on expanding the Hollywood U campus, but when prices start going up, you’ll find out soon enough why this isn’t a wise move at the end of the day. As such, most of your expansion efforts should be carried out as parts of quests; don’t try biting off more than you can chew.